It’s nice when sharing good practice leads to students engaging and enjoying the topic, even if it is a revision class. Instead of giving students exam questions on paper to do, which is quite boring and theory supports it adds little value to memorising, it’s better to stimulate the mind through games. I’ve used this method several times now for different topics and the students really enjoy it. 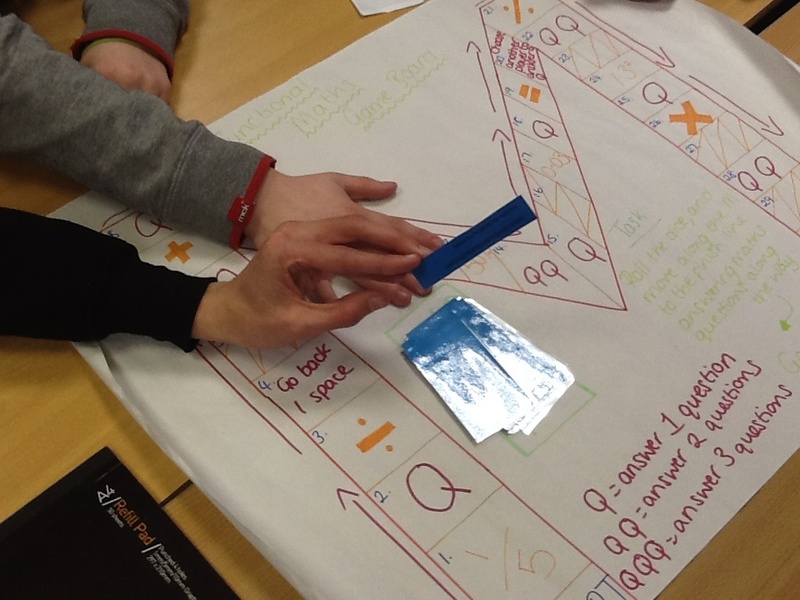 This idea for a game is simple, just take a large piece of flipchart paper and draw a letter or symbol that represents the topic (in the sample, Georgie Hooper – tutor used an M for maths). Then create squares for the students to move around the board, adding random Qs for questions to land on and ask questions. 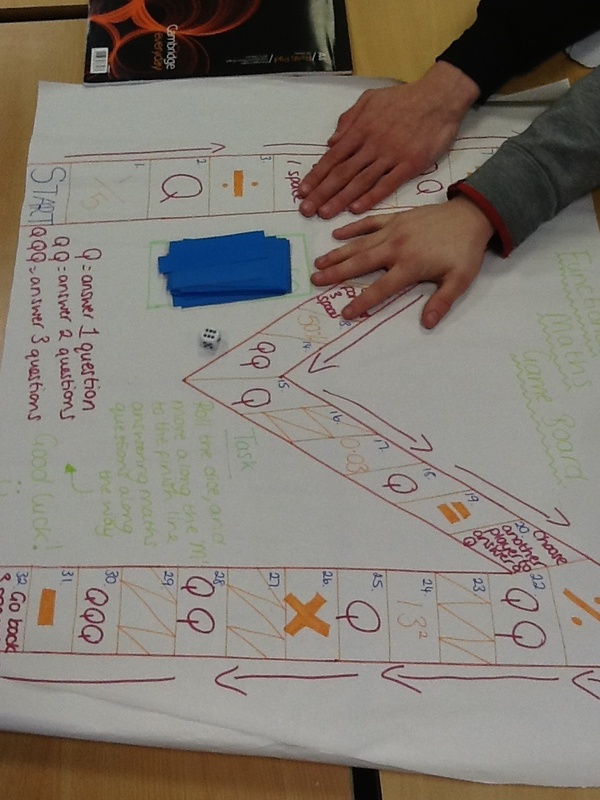 You can buy dice and counters or students can make their own (this in itself is a nice stimulating activity). For the questions you can use any revision questions and I also add random fun ones to lighten the mood.